Hi, everyone! Very sorry about not being here over the last...jeeze, it's been nearly a week (five days, to be precise). Completing that paper took me longer than expected. It thoughtfully thrashed my keister and stole hours upon hours of my sleep. I think the main problem was that I was never in "The Zone," and so I was becoming easily distracted. Basically, the process was like, write a sentence, read a half-dozen Penny Arcade comics, write another sentence, Photoshop a picture, put in a quote and cite it, read some more Penny Arcade. And so on and so forth. And I knew it was going to be a mess, because I was bouncing from paragraph to paragraph, constructing the thing like a shoddy Lego castle. I was constantly reminding myself how bad it was. Then I was reminding myself how I said the exact same thing about the last two papers, both of which received an A. Well, that's over and done with (and it actually ain't half bad), so now my writing priorities are back to normal. I still have finals, but they won't interfere like this monstrosity did. -I bought myself a new hat! I'll definitely talk about this more in the future, but in the meantime, enjoy this Photoshopped picture of me wearing it! -I became pseudonymously famous online. On the official website for Magic: The Gathering (the world's largest trading card game), I had seen that the Q&A section, which usually only features questions that are mailed in, answered a question from the site's forums. So, in those same forums, I decided to play cute and ask the question of if they were going to continue doing such a thing. Less than two days later, I check the daily update at 9pm and see this (Look at the May 4th entry). For those who unfamiliar with my online personas (which is a topic I plan to spend a while on in the summer), "Neo Deus" is one of my primary pseudonyms. So, my clever little scheme worked. Huh, I really need to start planning more clever little schemes. -The Blog DeCal officially ended. I'll write more about this later (I know, I know, why don't I just write it now? Well, I've been operating for the last few days on three hours of sleep and a hell of a lot of gummi bears. I'll be surprised if this entry turns out coherent when it's complete). Needless to say, I will soon be changing some of the things on this blog. 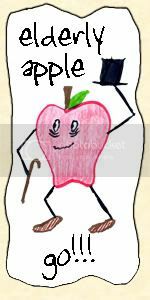 For one, there will be many, many more smileys (which were expressly forbidden in the class). Second, since a lot of my classmates will be shutting down their blogs, I'll probably be changing up my links on the side. I'll also probably stop talking about the Blog DeCal...probably. -I. Don't. Frickin'. Believe. It. You'll only understand this if you went to my high school, but thinking that this man can own his own store...it boggles the mind. And that store's been around for a while...wow, just...wow. -I took an interesting "What's Your Philosophical View" quiz. I'll...wait for it...talk about it later. -Um, there was probably something else, but I'm too sleepy to think of it now. Now, to answer the questions proposed to me during my absence. I must say, I was expecting more (and touchier) questions, like "What are your turn-ons?" or something like that (and so we're clear, that question-asking section is closed, so you're too late). 1. Are you an uncle? Yet? How's [your sister] doing? No, I am not an uncle yet. Rest assured, when the time comes, I'll definitely mention it. From what I hear, my sister is doing well, enjoying being on maternity leave and the like (apparently, Mr. Blau [St. Anthony HS art teacher] told her, "I wish I was on maternity leave"). From what I know, though, the time is approaching, and fast. I would go so far as to say there are less than two weeks left. 'Course, I obviously know little about the topic, so I'm gonna keep my mouth shut until I see pictures. 2. If the ultimate answer to to the "Life, Universe, and Everything" is 42, what is the ultimate question? Oh, that's simple. The ultimate question is "How much wood would a woodchuck chuck if a woodchuck could chuck wood?" The answer is 42. Not 42 bushels of wood, nor 42 cords of wood, but just 42. How can a woodchuck chuck an intangible idea like "42"? Well, a woodchuck could chuck 42 easier than a woodchuck would chuck wood, 'cause a woodchuck can't chuck wood. 3a. Are you going to ComicCon? 3b. How would you like to go as Gannon? 3c. 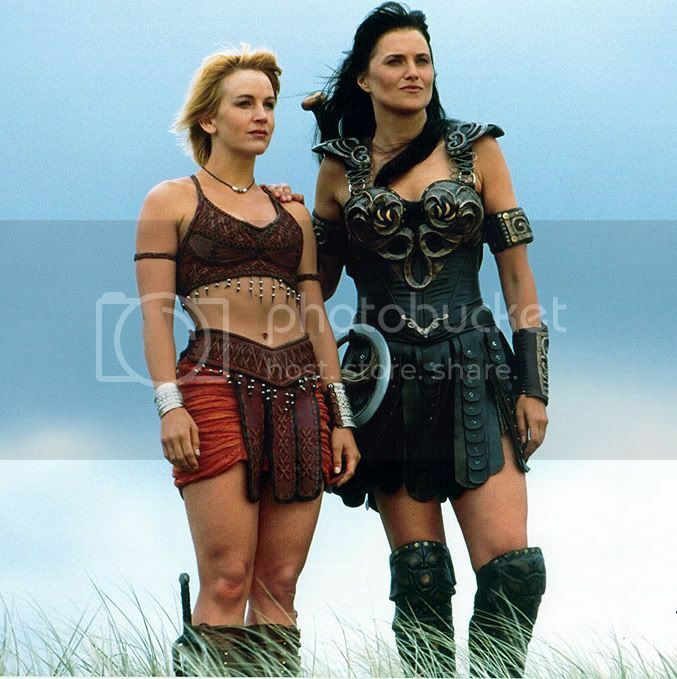 You should explain to everyone how wonderful and fantastic Xena is. Yeah, I think that's the only explanation necessary. Well, it's good to be back. I'm sure it will be even better tomorrow, after I get a full-night's rest for the first time in a while. Toodles. I knew she was on maternity leave, but didn't know the rest. Thanks. Without the mask, you look like you're a S.T.A.R.S. member, not sure which one, maybe barry or summats, but it just goes with the whole, killing zombies IS my day job vibe. Powerful explanation, but it doesn't sway me. P.S. Nice to see chuck cut his hair, and he's had that store for a while, since he left SA I believe. He even came one day to show off his wares for Mr. Boaz, where were you that day? You answer to my question was a "Mien Fürher! I CAN WALK!" moment. It made no sense and yet perfect sense. Who is this Chuck person? as for the comic con thing, how many days? all four? elaborate, if you please. and would you cosplay? that would be so nifty!! 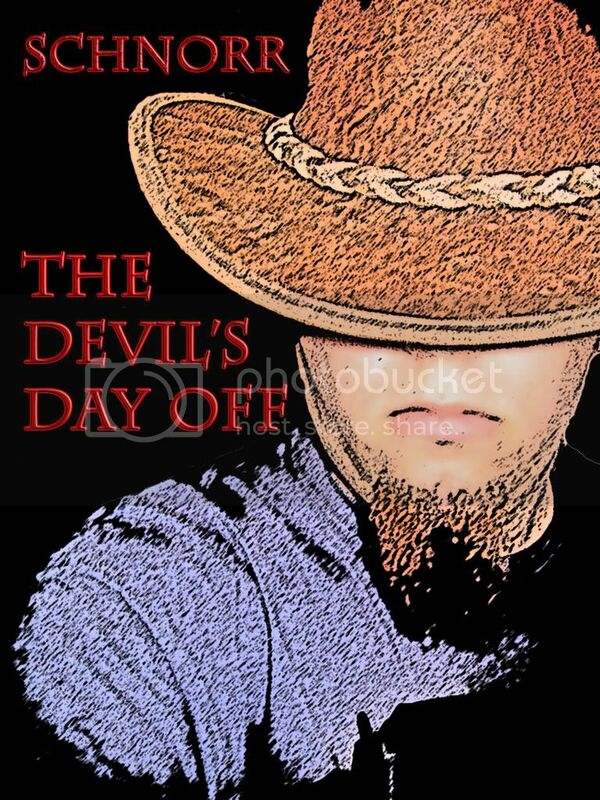 "The Devil's Day Off" sounds like a great title for a book. You may want to copyright that for future use. Chuck was the possibly the first and hopefully last official Nazi at SA from 2002-2004 (I might be mistaken about the exact dates.) He had a good deal of knowledge however, about reptiles and helped Boaz in biology by bringing in "examples" - pythons and iguanas. As for Squall being dressed as Zelda, that would be funny. I personally am in the market for an Khrushchev-era Soviet Red Army Uniform ;-D. I wonder how those comic-coners would react to the presence of Comrade Chavez! Muwhahahahahaha! WE SHALL BURY YOUZ!!11!11ROLF1!lolzzz11! !